You may have noticed that high protein diets and supplements are everywhere these days. From the muscle-building shakes pounded by the big guys at your gym to the vitamin aisle of your local grocery store, the popularity of protein packed shakes, powders, and nutrition bars is at an all-time high. In a world in which even Snickers makes a protein-packed candy bar, it can be difficult to know how much protein you need in a given day. When considering whether protein supplementation is right for you, it’s important to understand how we got here. It’s also important to know what proteins do in the body and why we need them. High-protein diets grew in popularity nearly twenty years ago, when the Atkins craze promoted fats and proteins over refined carbohydrates. In spite of the diet’s popularity, it was always controversial. Regardless, Atkins helped put high protein diets on the map, and the protein craze doesn’t appear to be slowing down any time soon. As reported in Business Insider, a June 2018 report by global market research firm Technavio predicts that the protein supplement industry will grow by a whopping 7% between 2018 and 2022. In other words, when it comes to nutritional supplements, protein is the star of the show and likely will be for many years to come. To answer this question, it’s helpful to think of your body as a biochemical machine. Like other machines–cars, computers–our bodies can’t operate without fuel. In most biological organisms, that fuel comes from the environment. Trees use sunlight, precipitation, and minerals from the soil. Humans and most other animals take in energy via digestion. That is: we eat. Proteins are made up of different combinations of twenty amino acids, many of which our bodies cannot naturally produce on their own. Some of these amino acids you’ve heard of, such as lysine (another popular supplement) and tryptophan, the amino acid found in turkey and other poultry, cheese, egg whites, sesame seeds, salmon, and other common foods. Because amino acids play a variety of critical roles in the body, proteins are considered an essential macronutrient. Protein is responsible for the production of hair, skin, blood cells, muscle and organ tissues, ligaments and membranes, and more. In other words, without protein in our diets, we’d die. Third, should you take a protein supplement? This is a difficult question to answer, and the marketing of protein-rich foods and supplements have muddied the water for most consumers. According to a study funded in part by the National Institute on Aging, middle-aged adults (50-65) who ate high-protein diets (in which 20% or more of their daily calories came from protein) experienced greater rates of morality than peers who ate less protein. For older adults, those over 66 years old, the results were inverted. Those with higher protein intake experienced less mortality than their peers who ate less protein. Results like these make it difficult to know how much protein to eat on a given day. As with other nutrients, factors like gender, age, body mass, and level of physical activity will alter the amount of protein you need, but perhaps the best first step in determining your approach to protein intake is knowing what the Food and Drug Administration recommends. While FDA guidelines make a lot of assumptions, they’re a good place to start. Assuming a 2,000 calorie per day diet, the current FDA Recommended Daily Allowance (RDA) of protein for sedentary men and women is .80 grams of protein per kilogram of body weight. For a 155-pound (70.3 kg), forty-year-old woman who is in average health but who sedentary, this works out to 56 grams of protein per day. Those requirements will be higher for those with greater levels of activity, and your personal body composition, fitness goals, dietary restrictions, and age will all play a role in determining your personal protein needs. Protein, along with the two other essential macronutrient groups (fats and carbohydrates) are necessary to maintain life. 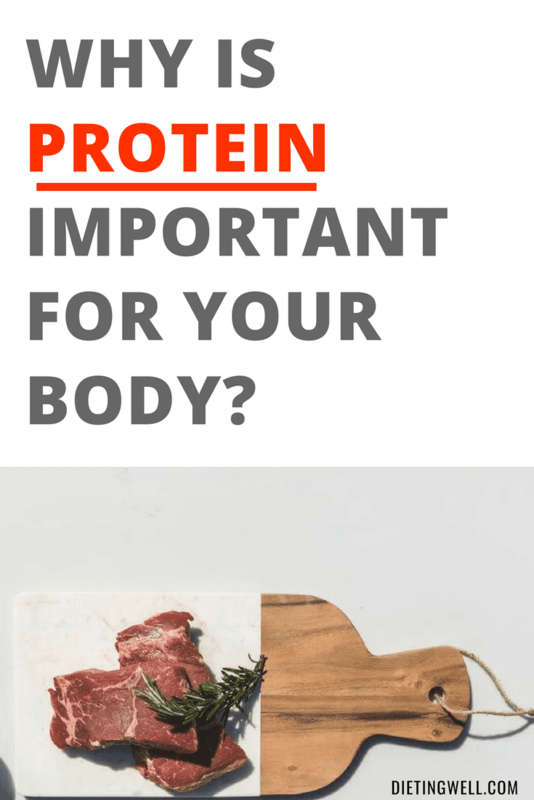 You must consume protein in order to have a functional, healthy body, and reaching your Recommended Daily Allowance is relatively easy so long as you monitor your diet. For meat eaters, lean meats are best. White-meat poultry and fish are good options, but don’t forget about protein packed plant-based foods like black beans, chickpeas, lima beans, asparagus, quinoa, edamame, lentils, potatoes, spinach, and peanut butter. Cheese, eggs, and dairy are also high in protein, but be aware of the ratio of saturated fat to protein. Egg whites and nonfat yogurt are great options if you’re looking to increase protein intake without consuming unwanted saturated fat. If your activity level and fitness goals require additional protein, look for high quality, organic protein supplements. There are even good options for vegetarians (whey protein) and vegans (pea protein). As with all dietary choices, discussing your body’s needs with your physician is critical. Together, you and your doctor can discuss what your particular protein requirements are before you’re bombarded with more ads at the gym and the grocery store.